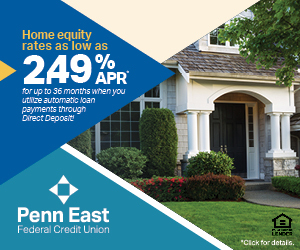 Access everything you need from Penn East, anywhere, at any time. Getting started is quick and easy. It usually takes less than five minutes to get your account set up. Online banking gives you options. Instead of making a trip to the branch, you can save yourself the trouble and head online instead. From the comfort of your own home, make transfers, check account balances, pay bills, and cover loan payments. All of your information is protected under layers of secure encryption. Banking on the go? Be sure to explore our mobile app as well.